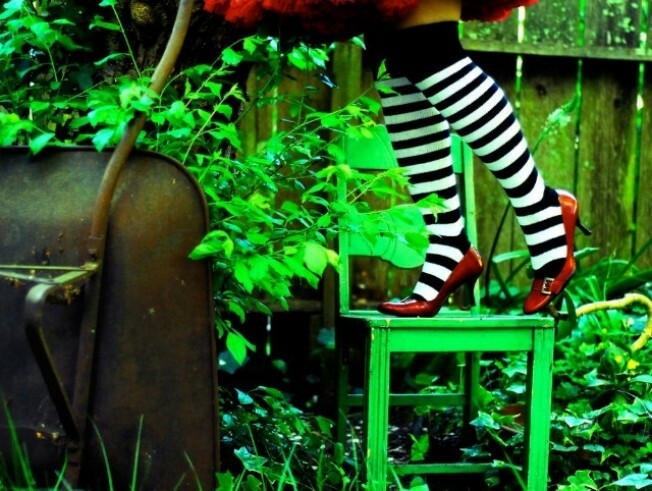 We like photographer Leslie Sophia Lindell's take on the famous ruby slippers. COSMETICS, MY PRETTY: Sally Hansen has a nice, dark-red polish called, you guessed it, Ruby Slipper; My Beauty Addiction has a Ruby Slipper mineral eyeshadow that looks perfectly dramatic; and Helena Rubenstein makes a Ruby Slippers lipstick. It's even SPF 10 (because sometimes it can get a bit bright on the yellow brick road).